Dracula: Prince of Darkness was Hammer’s third Dracula film and the second to feature the sartorial talents of Christopher Lee in the lead role. Because of Lee’s reluctance to become too firmly associated with the role of Count Dracula Hammer had to wait eight years before Lee was willing to accommodate a repeat performance. Unfortunately it wasn’t worth the wait, though the public at the time embraced the film and made it a commercial success. Lee was united with other key personnel from the 1958 production; Jimmy Sangster provided a screenplay based on an Anthony Hinds story, stalwart gothic horror director Terence Fisher was on hand to bring the film to visual life, James Bernard provided another memorable score, and Bernard Robinson endowed the film with his customary lavish production design. However the absence of Peter Cushing as Dracula’s nemesis Dr. Van Helsing leaves a void in the proceedings that Andrew Keir’s savant Father Sandor is unable to fill. Keir does a professional job, but his brusque and boorish manner lacks the air of intellectual dignity and physical vulnerability of Cushing’s more subtle and nuanced character. The film opens by replaying the final moments of the 1958 film, a bravura action sequence that emphasised the physicality of Hammer’s interpretation. Here we do get to see Cushing and Lee clash, but instead of setting out a stall for Prince of Darkness, it just serves to remind us how much better the original was. The film that follows is extremely slow moving and laborious. We are introduced to two holidaying couples; Helen and Alan Kent (Barbara Shelley and Charles Tingwell) and Charles and Diana Kent (Francis Matthews and Suzan Farmer) they have chosen the tourist hot spot of Transylvania to unwind in and express a particular interest in Carlstadt. Despite the predictable dissuasion from superstitious locals the English tourists find themselves inevitability drawn to the imposing edifice of Castle Dracula. The couples couldn’t be more different. Helen is repressed, shrewish, a killjoy, something of a hag in all honesty. Her husband Alan patient and long suffering. Charles and Diane by contrast are adventurous, sexually active, and a lot more fun. They represent the two sides of a Victorian value system and Sangster’s screenplay spends the film punishing them. One major weakness of the film is the length of time it takes Dracula too appear. The film is halfway through before Dracula’s servant Klove (Phillip Latham) has strung Alan up and slit his throat. Alan bleeds like a stuck pig in one of the most surprisingly graphic moments in Hammer’s canon. In fact the film is really only notable for its set pieces; the resurrection scene, the staking of Helen, and Dracula’s icy fate. In between these moments very little of note actually happens. It is not surprising that Helen and Alan become the victims of Dracula. Helen’s transformation into a vampire is necessary for the films subtext about Victorian repression. Her inhibitions vanish once Dracula has sucked her blood, and she uses her sexuality in an attempt to lure Charles to his doom. In a way Dracula has set Helen free, but the fate of poor old boring Alan seems unnecessarily harsh. Helen’s demise is perhaps one of the more controversial moments in the Hammer canon. Helen’s thrashing body is manhandled by the religious patriarchs of the monastery, and they administer her destruction in a ruthlessly masculine manner. Despite the retrograde nature of this scene it is a moment of horrific distinction that matches Dracula’s bloody resurrection. Although Dracula has no lines of dialogue, Christopher Lee’s brooding physicality still dominates proceedings. His lack of dialogue has become a matter of debate, but I for one don’t think it matters at all. Lee’s representation of this mythical figure was always communicated through his physical performance, though the decision to make him more animalistic here is a perhaps a step too far. The scenes in which Dracula hisses and snarls robs the character of his aristocratic dignity. Dracula is however ably supported by the graven image of Klove, and by the fly eating antics of Ludwig (a typically eccentric Thorley Walters) two of Dracula’s better disciples. The film overflows with a saturated gothic ambience, and the two principle locations of the castle and the monastery are effectively conveyed. Dracula’s destruction is a novel one and makes for a very distinctive conclusion. But Dracula: Prince of Darkness is unable to save itself from a protracted and sluggish opening forty minutes that robs the film of the pace and economy of the 1958 film it was attempting to emulate. I always thought this one was a tad over-rated. I prefer "Frankenstein Created Woman", "Plague of The Zombies" and "Quatermass And the Pit". I totally agree - this is distinctly underwhelming (the set piece sequences aside), and I too prefer the three films you mentioned. This is the one last Dracula entry I have yet to see, but despite the criticism, I am still very anxious to watch when I make a second run through the series! Despite the "relative mediocrity" of this movie i wonder if the British film industry as it is right now in 2011 would be capable of producing anything that was even 100th as good as "Dracula: Prince of Darkness"...er...i very much doubt it ! ! !. Christophe Lee in a cape...always worth a watch Carl. I'm not so down on the British film industry, I think there are some good films being made, unfortunately very few decent/interesting genre films. Britain still knocks out several notable films of social realism very year. But that is not to everyone's taste of course. Thats the key point here, social realism movies are garbage because they represent the past and are unimaginative, British films today are no different from the kitchen sink drama's of the early 60`s or the BBC's play for today hogwash from the early 70`s. Science fiction, horror, fantasy, and special effects represents the future for film making the world over but unfortunately the British film industry prefers to run and hide in the past, the danger is of course that the British film industry is being left so far behind that it might NEVER be able to make up so much lost ground. I dont think social realism is representative of the past, especially if it addresses contemporary anxieties - which it often does. One of the best British films of recent years is FISH TANK. I'm not as sympathetic to sci-fi/horror/fantasy as you might think. I dont consider myself a fan of these genres, I've always considered myself a fan of film. I think social realism is a valid form of expression. Well i`m sorry but i dont, i think social realism is out-moded rubbish, LONG-LIVE THE SPECIAL EFFECTS EXTRAVAGANZAS, DEATH TO SOCIAL REALISM. This was my first exposure to Hammer, although I had seen bits and pieces of HORROR OF DRACULA prior. It was on a Saturday afternoon and I loved every minute of it. From there it was RISEN FROM THE GRAVE and SCARS OF DRACULA on video. Great stuff! I haven't watched this one in some time, so I can't comment on how I would like it now. Whether how long it took Dracula to show up, I do enjoy the cliched buildup to these things such as the isolated village with the tavern where no one likes strangers, particularly those heading in the "wrong" direction. I warmed to Keir's character. 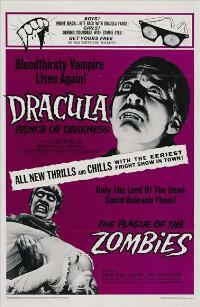 No substitution for Cushing's absence, but Keir made for a lively foil for Dracula. Someone commented in a post I did that the story of Lee refusing to say lines given him wasn't true and Lee supposedly supported this claim at some point. About two or three years ago in October, Lee did an interview where he stated the very same thing that he refused to say the lines. Still, one of the lines he says he scoffed at, he ended up saying anyway in his last Drac picture. And speaking of HORROR OF DRACULA, for whatever reason I seem to recall a scene or two on TV I have yet to see anywhere else. It was Dracula paying a visit to Harker asking him how his cataloging was going. Before I ever saw that film from beginning to end, that scene stood out, but I have yet to see any evidence of it. Plus, the opportunity of seeing Dracula's full disintegration would be nice. I think taking almost 45 minutes to bring Dracula back into the film is a bit too long a wait to be honest Brian. The first half kills the film in my view. The best part of it is the replay of the ending of HORROR OF DRACULA that opens the film. Yes the Lee story seems to be aprocryphal, but it is certainly the kind of thing he would say. 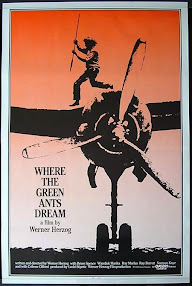 The problem is that Lee was appearing in films throughout the 1960's that made Hammer's productions look like CITIZEN KANE - bad dialogue or not. His other career choices undermine his snobbish attitude to the Dracula films. To mark the 50th anniversary of DRACULA the BFI put out a restored/remastered print for theatrical release in the winter of 2008. I was unable to catch a screening, even though I was in Nottingham at the time and it played at a city centre picture house. But its possible some of the material you mentioned might have been in that print. It is certainly the case that the Warner's DVD release is not wholly satisfactory for fans. Of all the Hammer films, surely this one deserves the HD Blu Ray treatment? - stuff VAMPIRE CIRCUS and HANDS OF THE RIPPER, they can keep them as far as I'm concerned. Yes, I remember Fangoria announcing that restoration, yet WB seemingly had no interest in upgrading at that time. I am curious as to how well the Hammer movies sold for WB considering the ones Anchor Bay sold didn't sell so well. At least that's what I had read, but considering how crummy AB's quality control was at the time, I'm not surprised. It took me up to six times to get a DVD of FRANKENSTEIN CREATED WOMAN that would play beyond the opening five minutes and the layer change. Ditto for several of their other earlier Hammer titles. Shaun, it was really disapointing to read that you said you were not sympathetic towards scifi/horror/fantasy and that you didn`t consider yourself a fan of those genres, it was even more nauseating and irritating to hear you say that you thought social realism was a valid form of expression, as i`ve said before i think films depicting "so-called" social realism are laughable out-moded crap and should be treated with the contempt they deserve. I thought this site was specifically dedicated to reveiwing science fiction and horror and, like i said, its very disapointing to hear from you that apparently that isn`t the case. I am sympathetic towards horror and sci-fi, I like those genres and find them interesting to research and write about. But if I were pressed on the point I would say no I'm not a fan. As I mentioned earlier, I'm a fan of film. The emphasis here is horror, sci-fi and cult film because I enjoy writing about those genres, but im not so easy to dismiss over forms of filmic expression than you. This site is dedicated to whatever I feel like writing about - it's a blog, thats the whole point surely? You have an axe to grind about social realism, I don't feel the same. OK but i still think that any one of the old Hammer horror films (chosen completely at random) would be a million times better and more entertaining than some unimaginative piece of garbage about people doing their bloody laundry ! ! !.